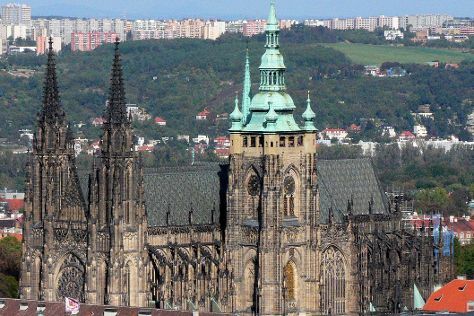 Start off your visit on the 31st (Fri): contemplate in the serene atmosphere at St. Vitus Cathedral, step into the grandiose world of Prague Castle, and then get outside with Prague for Two. For other places to visit, traveler tips, more things to do, and tourist information, go to the Prague trip itinerary builder tool . If you are flying in from India, the closest major airports are Václav Havel Airport Prague, Brno-Tuřany Airport and Ostrava Leos Janáček Airport. In August, plan for daily highs up to 28°C, and evening lows to 16°C. Wrap up your sightseeing on the 31st (Fri) early enough to travel back home.